In a bowl, toss vegetables with canola oil and salt, spread on a baking sheet. Roast for 30 minutes until tender. 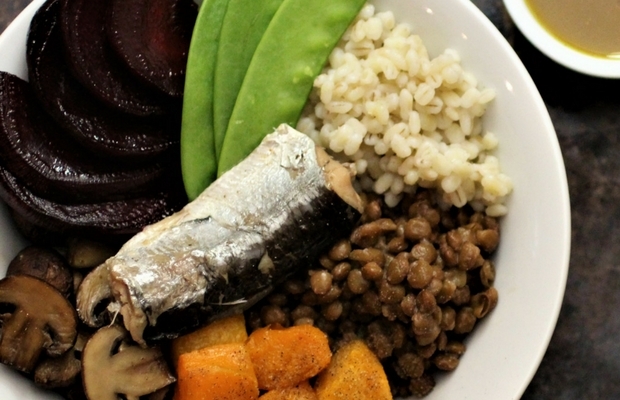 To assemble bowls, divide vegetables, lentils, barley and sardines equally among four bowls. Drizzle with maple mustard dressing. Serving Size: One Power Bowl.